The Cuisinart<sup></sup> Countdown Metal Toaster lets you know how many minutes, then how many seconds, you are from pop up! This solid and sophisticated brushed stainless steel toaster features two countdown timers that ensure toast is ready for the rest of the breakfast bacon and eggs need never get cold again. 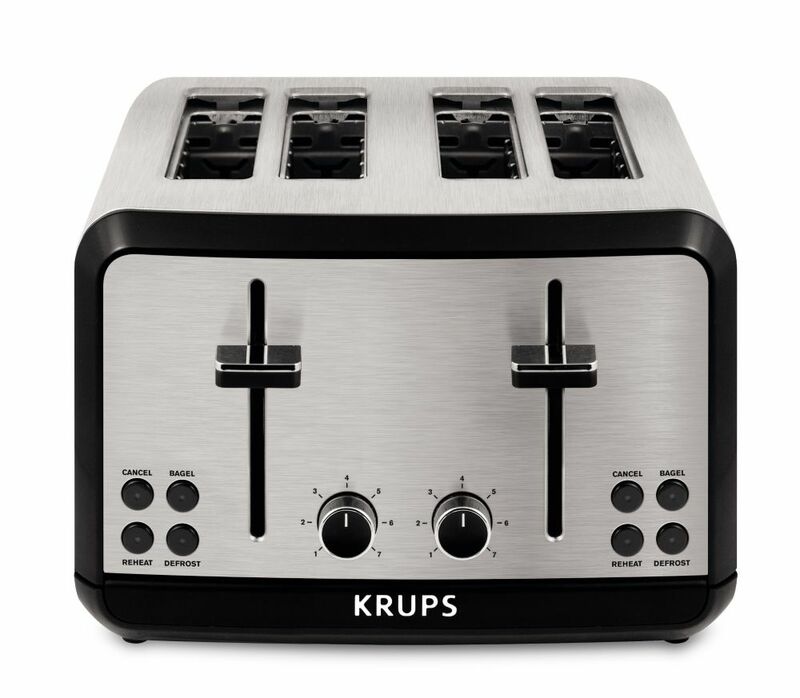 Two control panels with easytopush buttons and rotary browning dials toast up to 4 items to any shade you like. Savoy 4-Slice Toaster is rated 4.5 out of 5 by 11. Rated 5 out of 5 by Seneca from Toasts well and evenly. Easy to use. Like the ability... Toasts well and evenly. Easy to use. Like the ability to toast 4 slices of bread or bagel or english muffin or mixed to desired level. Rated 5 out of 5 by sparky from works fine very satisfied. works much better than the old... works fine very satisfied. works much better than the old toaster oven we were using. Toast is toasted to desired level every time. Rated 4 out of 5 by HealthyBob from It looks great. I wish the chambers were wider/longer because my... It looks great. I wish the chambers were wider/longer because my bread does not fit in 100%. That is a little disappointing. Rated 5 out of 5 by Shy from Very nice & stylish. Brown's toast evenly. Looks great on the kitchen counter. Very nice & stylish. Brown's toast evenly. Looks great on the kitchen counter.